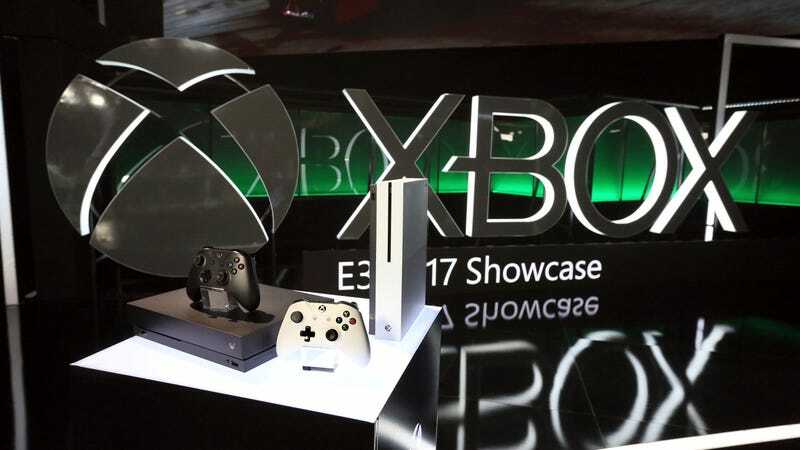 Xbox One devices on display at E3 2017 in Los Angeles. It’s important to note that mouse and keyboard support for games is added on a title-by-title basis, entirely at developers’ discretion. For all other titles, nothing changes. Mouse and keyboard input is not enabled by default for games. Each development team knows their titles best and we support them in creating the right experience for their games as they see fit, to ensure an optimal and fair gaming experience. Warframe will be one of the first titles testing mouse and keyboard input when the feature arrives to Insider in the coming weeks. Presumably, the opt-in provision was inserted for one of the same reasons mouse and keyboard compatibility was sorely wanted: Cross-platform play between Xbox One and PC gamers. It’s long been insisted that using a mouse and keyboard offers a significant amount of finesse and precision over a controller (which is backed by reports of Overwatch players using third-party adapters to dominate those using the latter). However, Ars Technica noted that Microsoft underwent extensive testing of console vs. PC matches of Gears of War 4 in 2016, concluding that after “combining fan feedback and extensive data gathering” there was no issue with cross-play. That said, the Gears of War series is third-person, so maybe there will be more issues with first-person shooters. Hence the opt-in: If it’s impossible or just too difficult to balance a title, developers may just forego support entirely. In their blog post, Microsoft noted that there is a much wider availability of keyboard and mouse setups than there are with controllers, so it’s partnering with premium manufacturer Razer to provide the “best possible” experience. The company added that players will likely be able to use “most” setups, though it’s sure to push the Razer gear hard. Whether or not you suspect this will ruin or at least dampen your console experience, Microsoft seems committed to rolling this out. According to the blog post, more details will be forthcoming in the November 10th edition of Inside Xbox.